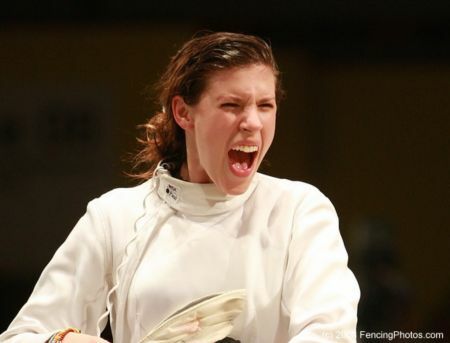 NYC World Cup of Fencing: Day 1 Summary and Match-Ups Set For Team USA for Day 2! On the men’s side, Jeff Spear (5-1) and Tim Morehouse (6-0) went directly out of the pools ranked 5th and 15th respectively. Ben Igoe (5-1), Mike Etropolski (5-1), Daryl Homer (3-3) and Avery Zuck (2-4) advance through DEs to the 64 as well. 180+ fencers and 20+ countries. It was quite a battle ROYAL! On the women’s side, Daria Schneider, Monica Aksamit, Sage Palmedo, Kamali Thompson and Skyla Powers made it into table of 64. They will join Mariel Zagunis, Ibtihaj Muhammad and Dagmara Wozniak tomorrow! We’ve (James Williams, Ben Igoe, Mike Etropolski, myself and Coach Yury Gelman) been in Germany for 4 days now training with the German, Italian and Romanian national teams. The training center here is probably the largest in the world and we’ve been enjoying ourselves. Fencing a lot of matches against different people and enjoying the fresh air of this small town. I will post pictures of the training center later. Tomorrow we are resting and touring a bit before the competition! Will Olympian James Williams Qualify for World Championships? Back from his hiatus, Olympian James Williams hopes to qualify tomorrow for the World Championships in Paris, France. He will need to make at leas the top-16 during the Division I Men’s Saber Championship which kicks off at 8am tomorrow at the Georgia World Congress Center. Also competing tomorrow will be currently qualified world team member’s Tim Morehouse, Daryl Homer, Ben Igoe along with the top Juniors and Cadet fencers. USA Fencing National Championships in Atlanta, Georgia Begin in 5 Days!! More than 6,000 fencers will descend on Atlanta, Georgia in a few days for the US Fencing National Championships at the Georgia World Congress . (Hall B5) On the line at this event are the team and individual championships for men and women’s Foil, Epee and Saber as well as final spots on the US National Team for World Championships in Paris. In Men’s saber, Mike Etropolski holds a small lead over Olympian James Williams for the 4th and final spot on the men’s saber team. (Currently, Morehouse, Homer, Igoe are 1-2-3) Etropolski has already qualified for Pan American Championships (held Aug.2-7 in Costa Rica) over Williams with his result at the NY World Cup, but with merely a top-16 finish at Nationals, Williams will pass Etropolski for the final world team spot. Competing will be Beijing Olympians Gerek Meinhardt (men’s foil), Tim Morehouse and James Williams (men’s saber), Seth Kelsey (men’s epee) and Kelley Hurley (women’s epee) s well as Dagmara Wozniak (women’s saber). World #1 and 2-time Olympic Champion Mariel Zagunis will not be competing, but plans on attending. Also competing in other events, will be fencers from ages 7-80 in a variety of divisions and skill levels.